Everybody's idea varies a little in terms of what they "need," so these lists are just based on my personal opinions. PLEASE comment with your own suggestions OR things that you keep in your vehicle!! Also let me know if you want to see photos of anything. I'm sure I will eventually remember to add more things that I had forgotten and also more specifics about certain products, so this list is an ongoing "work in progress," so to speak. I know it's very long, but I do use everything listed; If I don't use it, I lose it. I'm also an organizational nut if you haven't figured that out already, so there's an actual place for all this stuff in my van. book: "Traveler's Guide to the Firearm Laws of the 50 States, 2010"
folder containing miscellaneous papers, magazine cutouts, coupons, mail, etc. toolbox w/ tape measure, electrical tape, various screwdrivers, allen wrenches, socket kit, hammer, pliers, superglue, etc. *As a side note, I don't want to come across as a big spender, but you can probably see that I have spent quite a bit of money (over time) on some higher-priced products. It just makes sense to me to buy the higher-quality products that will last longer than the cheap stuff from China. Better to just buy things once, instead of paying to replace them later because they either break or don't work as described. *When first starting out, buying cheap useful things is totally fine, but here's something to keep in mind: If you move out of a rented apartment and into your vehicle, while continuing to work a full-time job, THEN you can take your previously $600 per month "rent payment" and now put it towards gear/maintenance/"housing supplies" for your vehicle. If you just keep working and putting "rent" towards your own home-on-wheels (instead of into the pockets of landlords), then you will soon have your vehicle all outfitted with everything you could possibly want and need to live comfortably. pressure canner, canning equipment, canning jars/lids, and the "Ball Blue Book of Preserving"
you need it? you name it. add it to the list! I don't currently have all of this stuff since I don't have a place to store it or the money required to purchase it, but, I do have some things. I've got a well-packed "Bug-Out-Bag," a little stash of canned goods, and a few other odds-n-ends. Really, this survival-list is to get you thinking ahead and to help you maybe start planning a little for the unknown. If a major emergency ever suddenly occurred, supplies and high-demand goods would be essential to have for the short-term.... In the event of any long-term emergency, however, our own survival ultimately would depend on our skills and knowledge - to kill our own deer, catch our own fish, start our own fires, grow our own food, make our own soap, bake our own bread, find fresh drinking water, etc. A storage room filled with supplies will only last for so long, especially if they're being shared and divided up amongst many individuals. That is an amazing post. First off, I suprised at how much you actually have, but it seems none of it is frivolous. Secondly, I'm amazed that you know EXACTLY what you have. I only found your blog a few weeks ago and I look forward to your posts. Todd - thanks for your comment! yeah, in a list, it sure looks like alot of stuff. Ironically though, when things are put away, there is absolutely no clutter inside my van. My Westy really has plenty of ledges, cupboards, and nooks for everything. Also, yeah, I guess I do have a good grasp on everything I own... Probably because everything is always right with me and seen on a daily basis. I think I've also got a very photographic memory. lol. I can close my eyes and envision what I've got inside every cupboard. A van is such a small space that things REALLY need to be organized well in order to make optimum use of it. I'm a list guy. Thanks for yours. IT will make it into a story someday. i always wanted to get the titanium spork from "thinkgeek.com"
cw - I checked out the site, and i'm assuming you didn't mean the "Star Trek laser engraved one?" lol. The other one listed is the exact one I have! It is by Snow Peak. It's hilarious the way thinkgeek describes it as "The Spork of the Gods." hahaha. It probably really is the "coolest and most powerful spork ever created." http://www.thinkgeek.com/homeoffice/kitchen/8ace/ I should put a photo of it on my gear pics page. also to Guntard - I'm a list person, too. I love lists. glad you enjoyed it! I'm sorry. It's just not detailed enough for me. Could you go a little deeper. lol Jesus, Mary and Joseph. You need to get out more. hehehehe Just teasing. I'm a lister too. Or so I thought. I'm not a vandweller but I do like to imagine what it would be like. I sat there and read this list for like an hour and it spurred so many pictures in my head of what vandwelling is like. I don't want to live in a crummy panel van and that's all I'd be able to get right now. Maybe someday I will buy a snazzy VW camper and read this blog for practical purposes! Bon Vivant - just so you know, it did at least take me roughly 4 days to compile this list. Lol. LMM - I'm so glad this gave you some good mental pics, that is one thing I was hoping to do for people. It is so fun, new, and refreshing to try to put ourselves in someone else's shoes for a bit. VWs are excellent, but really, any type of van can be as decked-out and cozy as you want it to be. Two-Knives Katie's van is a Ford Astro, and it is so nice inside! There's a page up all about it at Bob Well's Cheap RV Living site. If I didn't have a VW, I think I'd have an Astro, laid out alot like hers. I am actually thinking about taking out my stock fridge/stove/sink unit to make room for more regular storage space, but my big VW bed sure is great though, along with the poptop and swiveling front seats. Yes a story. I write various tales, from Mystery to PAW stories including Zombie fiction and Sci-Fi. Someday I might even get published. Lists are a part of what I make in a character sketch. You have more things than I do by far. Do you have a buggout bag handy in case you need to vacate yer van in hurry? What if it catches fire? god forbid, but what if? important papers survival pouch a little food and water and a change of clothes in a back pack wont burn up if the unthinkable happens. Guntard - neat! since you aren't published YET, have you done anything with your tales so far? I'd love to read them. I do already have a bug-out-bag all packed, and I'm going to eventually do a post with the contents-list of that. It is basically my 4-day ultimate survival backpack. As for everything else in my van, man, a fire would sure be terrible. I wonder if I can insure personal belongings/items through my van's insurance company (AAA). I will have to look into that. You would think that you would be able to insure your belongings that are kept in your vehicle, but I have never looked into that, so now I will. I would obviously have to have a list (good thing I already wrote this post) and pics/documentation of everything I owned that was kept inside my van. And since my van could kind-of be considered a "camper," maybe there is some sort of personal-belonging insurance for RVs/campers or something like that. Anybody reading this happen to have any idea? Yea a fire would be awful... Got the bug-out-bag covered, although maybe I SHOULD pick out a few more important things to keep handy to add to my bug-out-bag in case of emergency, like my computer's external hard-drive (with all my important stuff on it). Many of the items in my van (on this post's list) are already actually kept in my bug-out-bag, like my hammock, water-filter, rainjacket, first-aid kit, etc.. I'll just hurry up and work on my bug-out-bag list soon. thanks for the comment!! I've got a few of all of them! I'll post a ZPAW short story on my blog just for you! You are very wise for your age. God Bless You! Randy - thanks! But I have so much still to learn.. 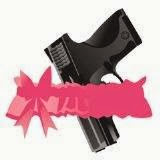 Your site recommended by a dermatologist gun enthusiast for your female carry options.